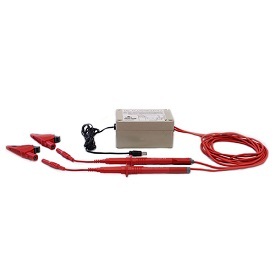 Our 15KVPSet is a set of three voltage probes that allow direct connections up to 15,000 Vrms (15KV) 3 phase power. Outputs from the probes connect directly to PowerSight analyzers, allowing complete analysis of medium voltage power systems up to 15KV. Hot sticks are included to provide added safety while connecting and disconnecting the probes. 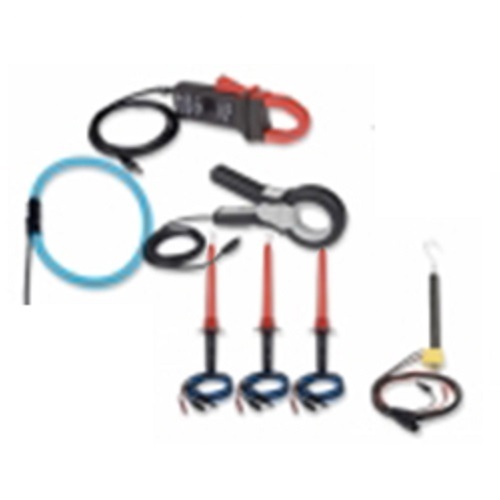 Summit Technology's model 15KVPSet voltage probes are capable of connecting directly to 3 phase voltages up to 15 kilovolts. 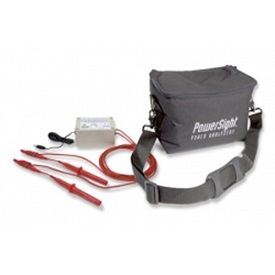 The 15KVPSet allows direct connection between the primary voltage and to your PowerSight analyzer. 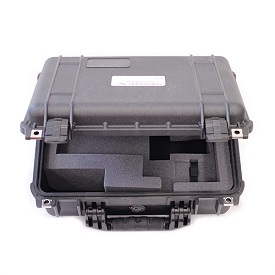 The set comes disassembled in its own compact canvas carrying case. Simply screw the "hot stick" sections together and then onto the probe. Connect the outputs to your PowerSight analyzer and to ground. 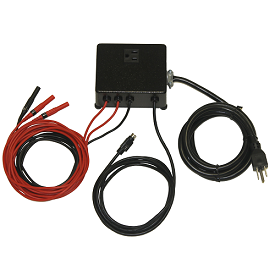 Enter a 60:1 input ratio into your PowerSight analyzer and then hook the probes onto the medium voltage, keeping a safe distance with the hot sticks. The 15KV probes may be purchased singly (order 15KVP). The hot sticks may be purchased separately (order STKS for 3 sections that screw together into one hot stick). The photo above shows three 15KVPs and three STKS. Pole Dimensions: three 18.25 inch long by 1.25 inch diameter sections which screw together for 55 inch pole length (3 poles included). Total Assembled Length: 71.5 inches from top of hook to bottom of pole.